“CONGRATULATIONS” RLI Colorado Chapter members for receiving a number of awards at the 2019 National Land Conference held in Albuquerque. For the complete list of all APEX award winners, click here. Download a copy of the National Commercial Awards – 2018 Brochure. Welcome to the Colorado Chapter! Membership in REALTORS® Land Institute (RLI) – As a member of the REALTORS Land Institute, membership within the Colorado Chapter is automatic when notified that you have joined. The Colorado Chapter dues is $75.00 annually. Dues paid to the National Association of REALTORS® (NAR), Colorado Association of REALTORS (CAR) or a local association does not constitute membership in RLI at any level. To search for a RLI Colorado Chapter Member, click here. RLI Members enjoy the benefits of belonging to a premier national network of qualified, professional, productive real estate brokers who specialize in land transactions, including farm & ranch, recreational property, timber, development land, and transitional land. RLI has one of the most highly regarded educational programs in the real estate industry through the RLI Land University. Members work to seek the designation of Accredited Land Consultant (ALC) through the Institute. Also, available are marketing tools, including an exclusive listing site, LAND CONNECTIONS. Please follow this link to review the benefits of RLI Membership: RLI Membership Benefits. Members in the Colorado Chapter have the opportunity to attend at least 3 meetings per year that include marketing sessions, where you can promote your listing and hear about other property listings; participate in a Buyer’s Board, take part in premier educational opportunities (most courses offer CE credit), and network with the best land brokers in the state, and interact with Chapter sponsors and vendors in the industry. In order to participate in the Chapter marketing sessions and present your listings, you must be a member of RLI. It’s one more added benefit and value to those who realize the importance of the our “member connection”. There are other events held throughout the year as well, such as Accredits Land Consultant education classes, an Annual Ranch Land Tour in June and a tri-state Agricultural Tour in July. Consider joining RLI today and take your business connections to the next level! • REALTORS® can join RLI for a Membership fee of $445.00 and a one time Application Fee of $75.00. Click here to access a membership application form through the RLI National website. To become a member of RLI, you must also be a member of the National Association of REALTORS®. If you are not a REALTOR®, you may join RLI as an Institute Affiliate member of NAR for an additional payment of $75 (to RLI). Contact (312) 329-8446 or (800) 441-LAND or email rli@realtors.org for additional information. As the essential professional membership organization for and by land real estate experts, the REALTORS® Land Institute provides its members with valuable membership benefits, from referral opportunities to discounts and special services. Those members who hold the Accredited Land Consultant (ALC) designation receive a premium level of benefits. Access to a national network of land REALTORS® who share a deep commitment to the land specialty. Inclusion in a professional group dedicated to building relationships, building knowledge, and building business. Opportunity to earn the Accredited Land Consultant (ALC) designation, which demonstrates the highest levels of professional competence, expertise, and achievement. Core education through the organization’s Land University curriculum, as well as on-going professional development programs delivered through a variety of channels, from online to in person. Leadership opportunities on both the local and national levels. Opportunities to build strong, meaningful, and lasting professional and personal bonds. In addition, members of RLI receive additional discounts through other service providers, such as CCIM’s Site to Do Business. Go to Member Discounts for a full listing. Member-to-Member networking that results in an open and candid information exchange and increased productivity. An array of information and resources on land and real estate trends. Individual online Member Profiles on the organization’s web site that increase market exposure. On-going print and electronic communications that keep members current on the latest organizational activities. Invitations to participate in education and networking meetings and conferences, including the RLI National Land Conference and the National Association of REALTORS® annual events. 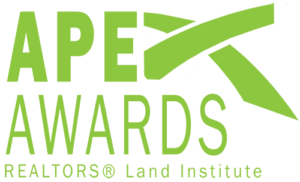 Awards programs, such as Land REALTOR® of the Year, that recognize outstanding achievement and professionalism. Legislative advocacy and a voice in Washington through the National Association of REALTORS®. Strategic alliances with related organizations that expand members’ professional reach and visibility. Participation in Alliance Programs that provide discounts with listing services, publications, information resources, and other business service providers, including the full array of member benefits offered through the National Association of REALTORS® (www.REALTOR.org/Realtorbenefits). Strong Chapter organizations that promote knowledge sharing and business development at the local level.